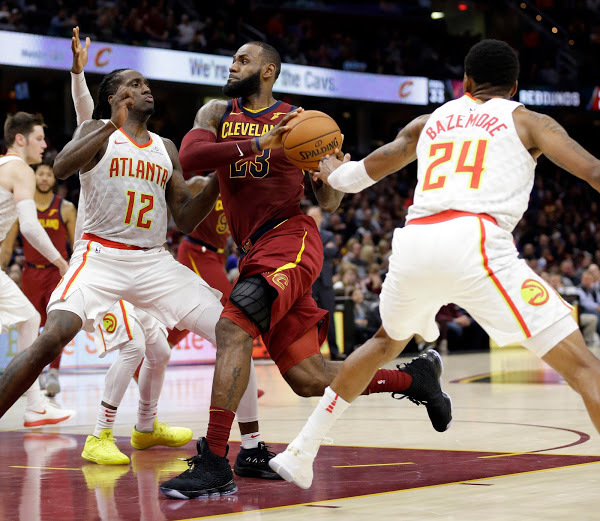 As one of the NBA’s most influential and politically active players, LeBron James uses different communication channels as medium to express himself. 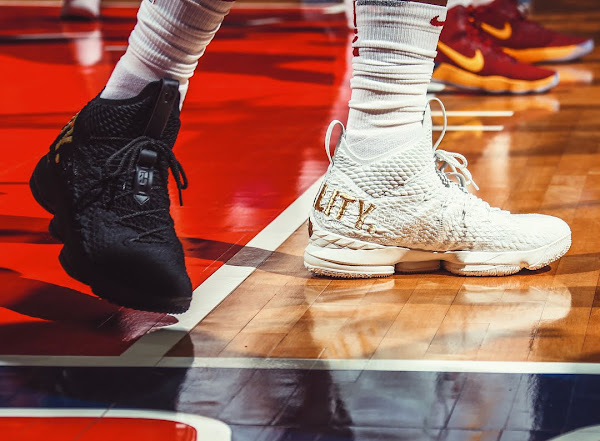 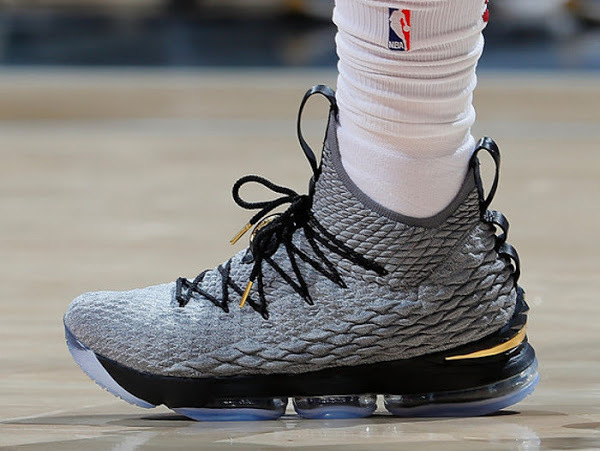 For yesterday’s match-up against the Washington Wizards in the nation’s capital, James opted to wear a special pair of LeBron 15 signature shoes, one white on his left foot and a black sneaker on his other foot. 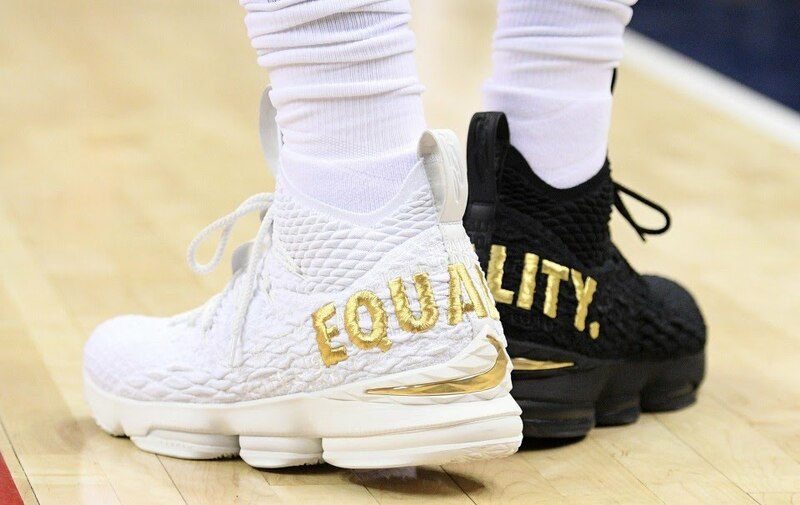 Both shoes also featured the word EQUALITY inscribed on the back in gold stitching. If you look closely there are several translations for the word Equality so I guess it’s a global message. 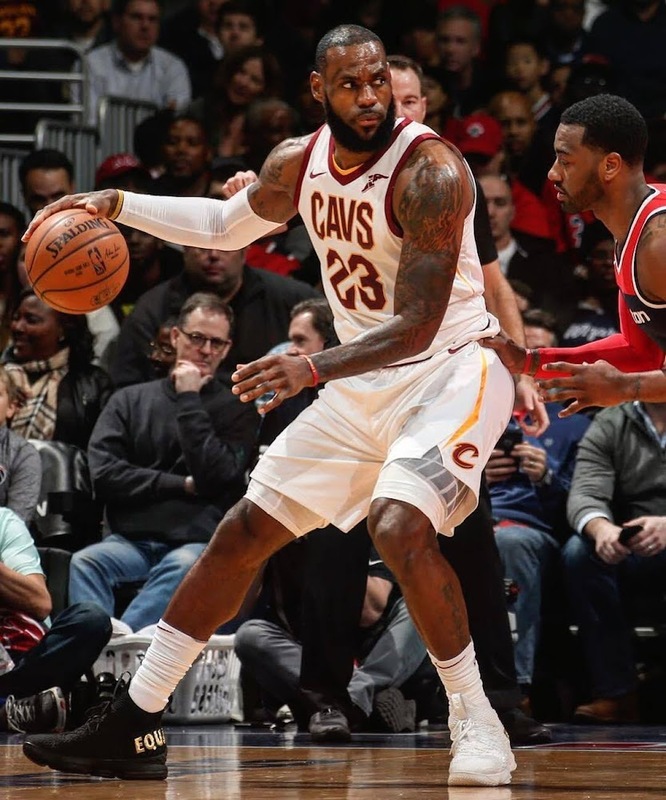 In case it wasn’t apparent through context clues, James’ jab was aimed at President Donald Trump. 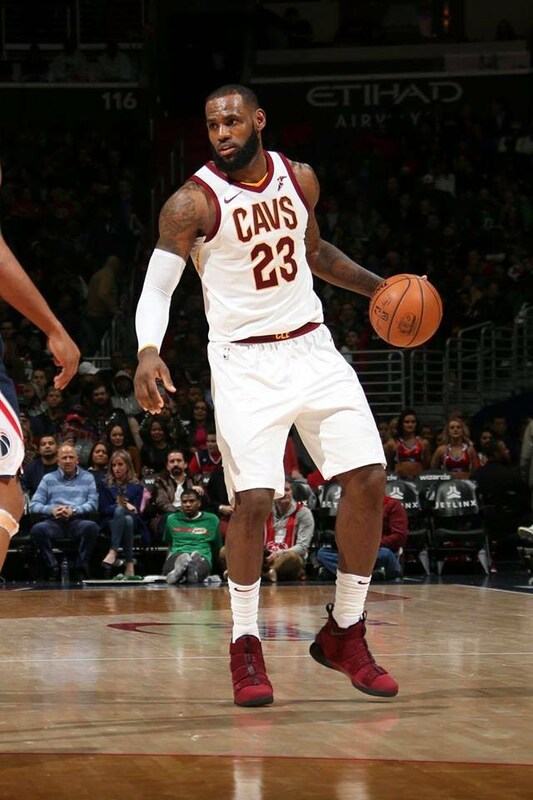 James has previously pulled no punches in addressing his immense dissatisfaction with Trump. 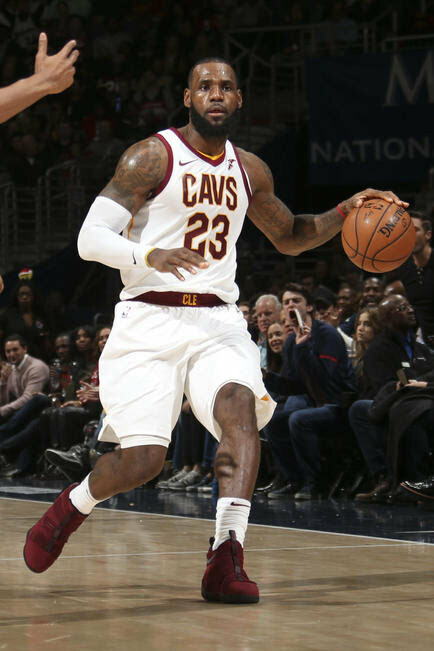 In September, he referred to Trump as a “bum” and blasted him for failing to properly utilize the pulpit of the presidency. 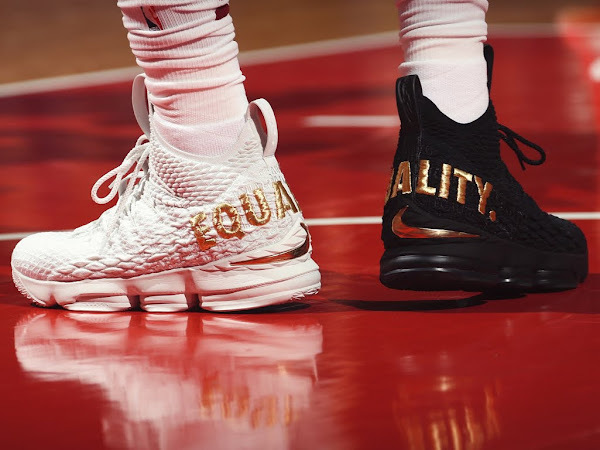 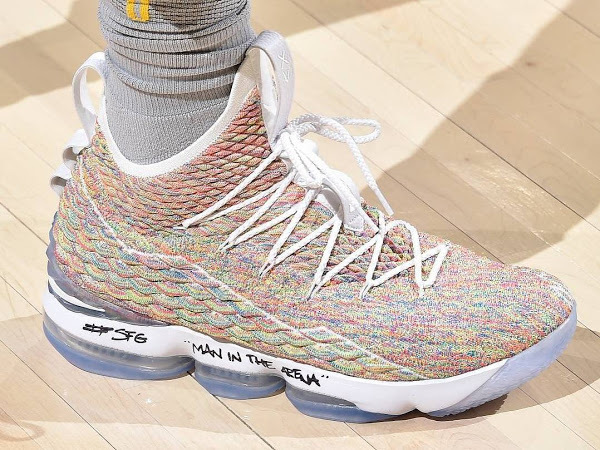 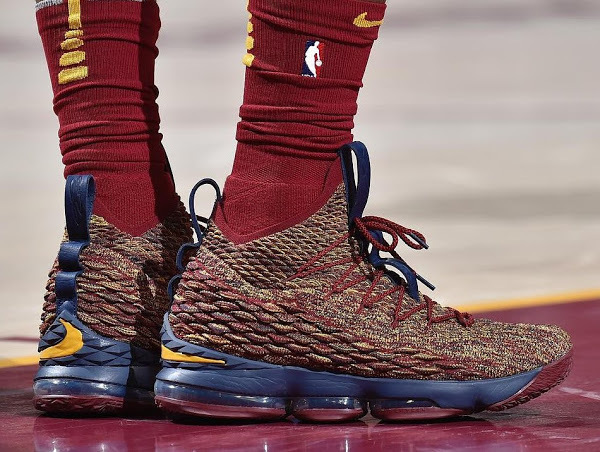 In October, James also wore black Nike LeBron 15 EQUALITY PEs during the Cavaliers’ season-opener against Boston. 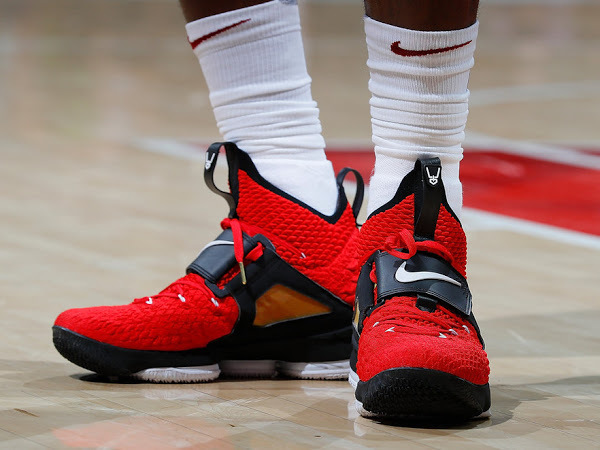 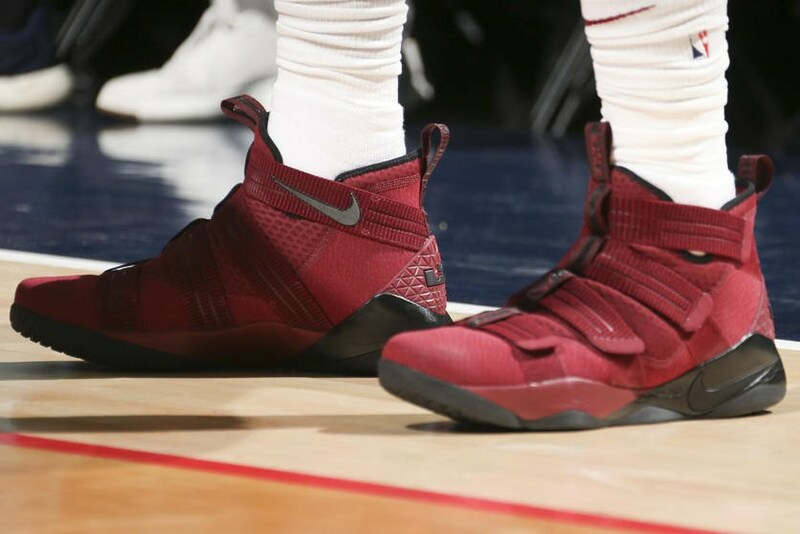 King James did send a powerful message through shoes, but he chose to switch kicks in the second half of the game and laced up the Burgundy Soldier 11’s… which as far as I know have no political agenda.